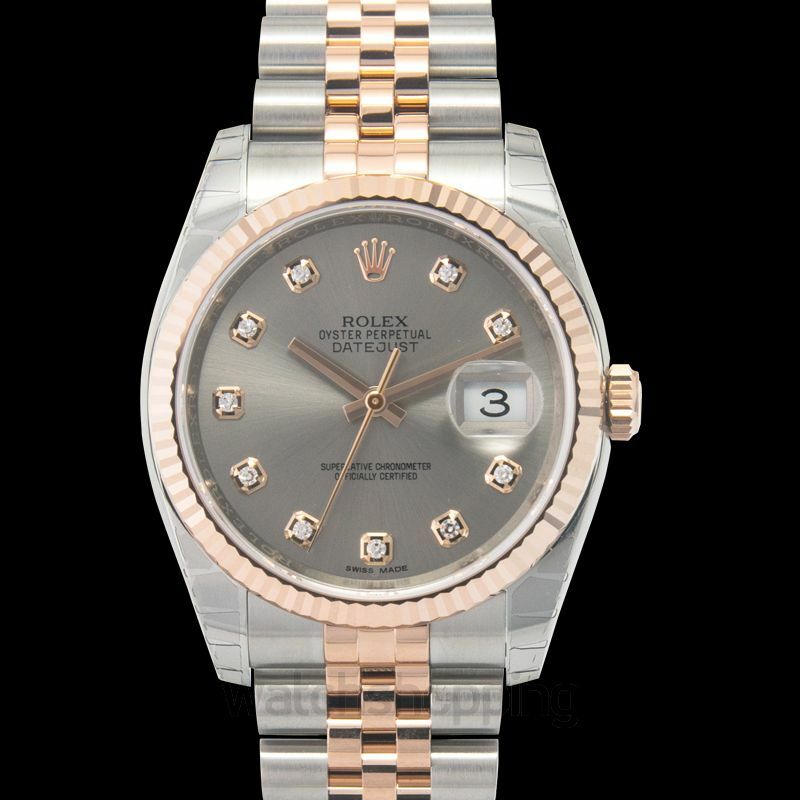 The Rolex Datejust referenced 116231-0100 is the model of the iconic watch with a black dial, encrusted with diamond hour markers. 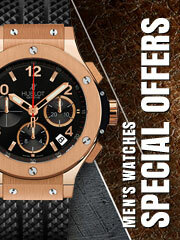 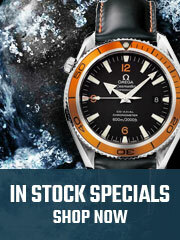 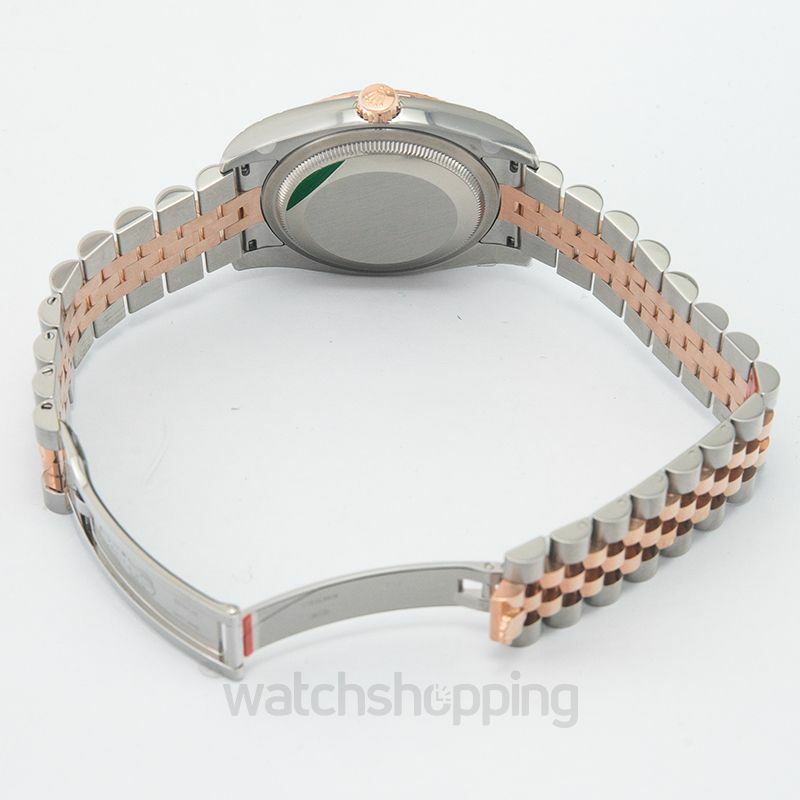 It features a 36 mm case, a jubilee bracket, and the self-winding caliber 3135. 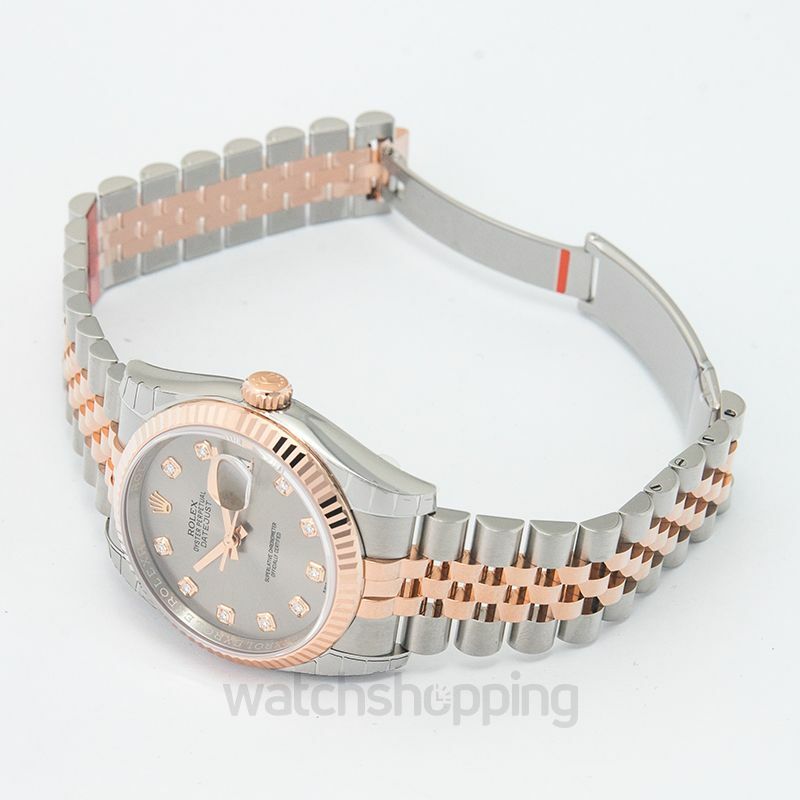 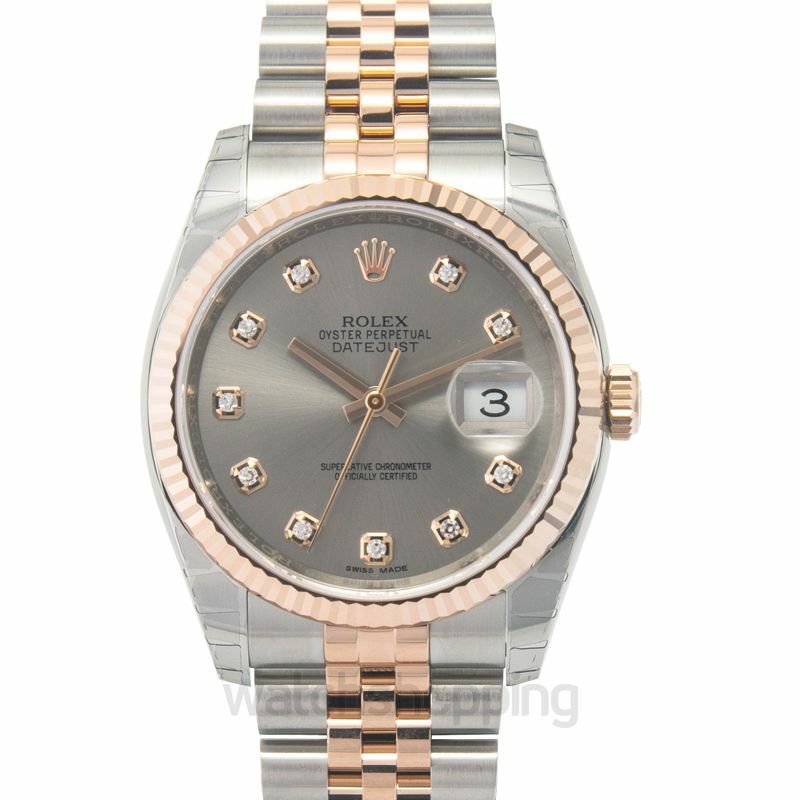 The choice in material is a mixture of Rolex's Oystersteel and 18K Rose gold which doesn't only make this a powerful timepiece, but also a pleasure to use.